The CPDO team brings a diverse set of planning expertise to the planning and development of McGill’s campuses. Below is a section of planning projects or activities that are currently underway or have been recently completed. McGill’s Campus Planning and Development Office has developed a comprehensive planning document to guide the evolution the University’s downtown and Macdonald campuses over the next 20 years. This Master Plan is a living document that articulates a vision for increasing the quality of teaching, learning, research and student life—all while adhering to principles of sustainable growth, sound financial management, and responsible stewardship of heritage buildings. 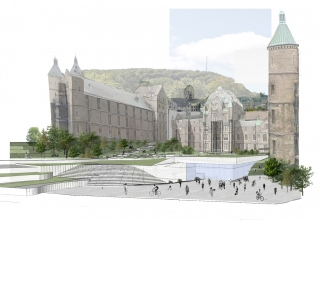 The Master Plan also considers infrastructure and initiatives related to how the McGill community moves to, from, within and between our campuses as well as landscape and other important campus features. Why is a Master Plan important? It provides a “big picture” view connecting a broad set of topics. It coordinates smaller scale and project specific decision-making. It guides opportunities for development. It establishes a basis for fact-based decision-making. It involves a broad range of interests in a discussion about the future. The former RVH site presents a unique opportunity to address the University’s shortage of teaching and research space. McGill and the Quebec Government are in discussions as to a common vision, with the University seeking an expansion of the downtown campus based on two academic pillars: Sustainability Sciences and Public Policy. A feasibility study (Dossier d’Opportunité) is underway and McGill intends to use the potential project to create a state-of-the-art “living laboratory” for new ways of working, collaborating and tackling complex problems. Strategically located at the hinge between lower and upper campus, the new pavilion on the Powell site is projected to become a major hub for research labs with an important student teaching and learning component. In this context, the new development project on the Powell site is being shaped to provide all students a stimulating, innovative, and inquiry-based educational experience through contemporary spaces that aim to inspire innovation, creativity and cross-disciplinary collaboration. In 2015, the University undertook a feasibility study to gain a clear understanding of the academic space needs of the McGill community within the existing Library complex. Based on the outcomes of this study, the University plans to physically transform its facilities to meet the evolving needs of the 21st century student. The words inscribed above the entrance to an early library building, Fiat Lux (Let There Be Light), reflect the goal of this ambitious undertaking: to reimagine the Library complex to accommodate evolving educational trends and to proactively position it to meet the needs of current and future McGill students, faculty and researchers. With the redevelopment of this site, the Library will be able to address the critical shortage of user space and the numerous design challenges within the site. The Wilson Hall renovation project is being conceived with the aim of providing modern spaces for research, teaching and learning. Planning is being carried out in the context of a broader urban design exercise that considers adjacent spaces and the building’s strategically significant location at the Milton Gates. The main objectives are to increase the amount of space available for teaching and learning and to improve the quality of spaces in the pavilion. Different scenarios are currently being studied to achieve these objectives, to ensure the proposed redevelopment scheme is well integrated in its surrounding and that it highlights the historical value of the building. McGill University acquired the entirety of 680 and 688 Sherbrooke Street in the fall of 2017. In addition to recently relocating Le James Bookstore to the ground floor, CPDO is in the process of allocating space to support the university’s academic needs. One of the major challenges of the acquisition will be to adapt the commercial office spaces to an academic vocation and better serve a student population. 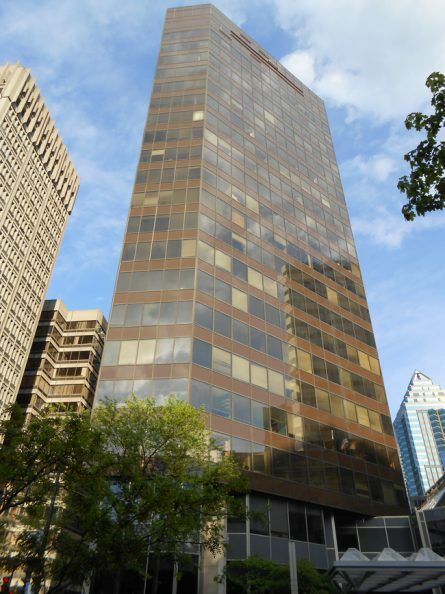 McGill now the sole owner of 680 Sherbrooke St. The Montreal Neurological Institute and Hospital – The Neuro, will play an active and central role in many new and exciting initiatives in neurosciences. With these new initiatives comes growth as well as the need to integrate cutting-edge technologies and equipment. The Neuro Strategic facility plan will define specific priorities, allocate resources and allow the institute to effectively adapt to new demands over a longer-term horizon.